Wholesale gift figurines, ornamental statues and everyday ornaments for most indoor decorative settings. Gift shops and Interior Home designs looking for table gift ornaments, wholesale gift ornaments for the desk or study, wholesale gift ornaments for the bedroom, wholesale gift figurines for the home or general wholesale fancy gift figurines then Sparks offers a varied selection. 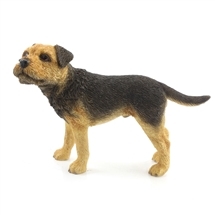 We stock a wide range of Dog figurines by Leonardo as well as other various animal figurines such as Elephants, Rabbits, Fish, Horses and Countryside Farm animal ornaments. Dog Figurines, Cat Figurines, Horse Figurines and statues, Buddha Figurines and Ornaments and Decorative Skull Ornaments. Wholesalers of ornamental figurines and statues for the gift reseller. Sparks GIft Wholesalers stock Leonardo dogs and cat, figurines and ornaments by Juliana. Buddha figurines and ornamental skulls from Puckator and other ornaments for decorative living spaces. Figurine Gift Wholesalers to the gift trade.